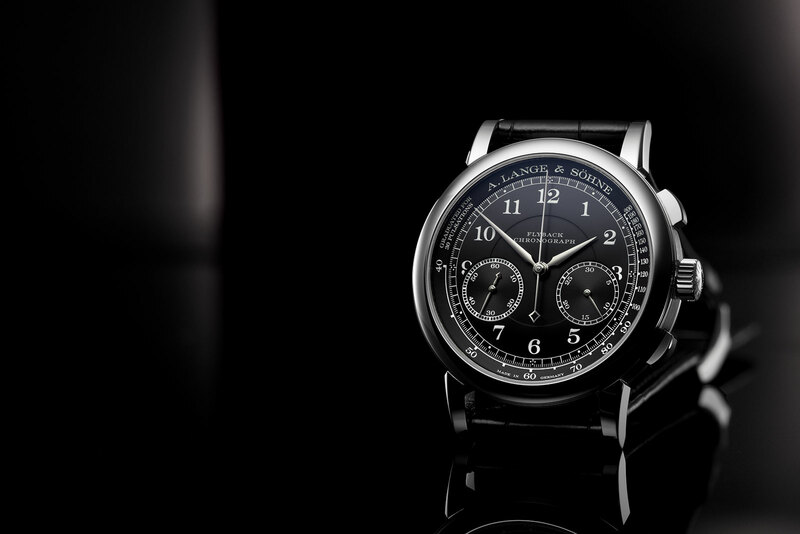 The latest from A. Lange & Söhne is almost a black and white rendition of its popular 1815 Chronograph – a dial in black and silver combined with a white gold case. It’s not a novel look, but it is a good one. 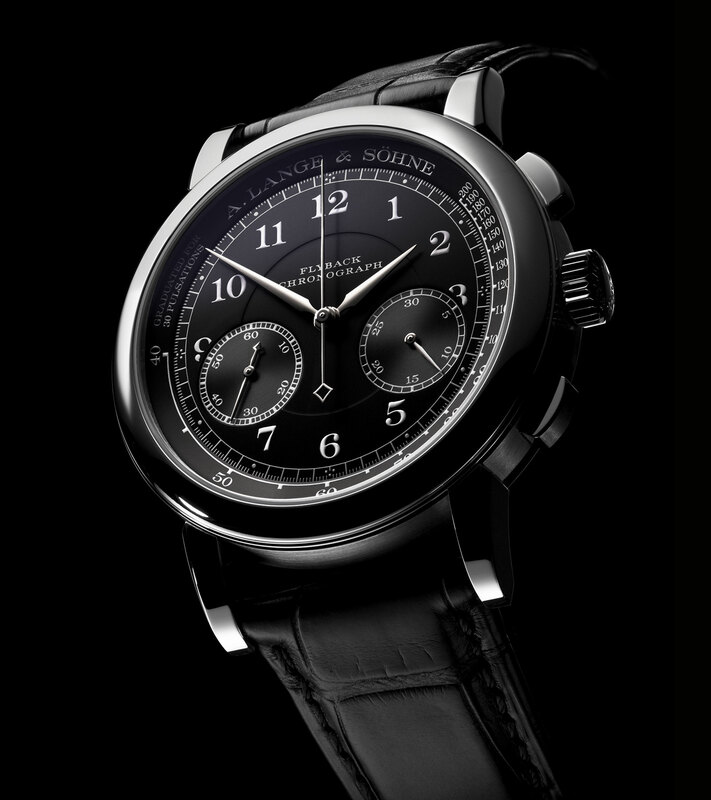 Palette aside the 1815 Chronograph in black is identical to the earlier versions of the watch. The dial is solid silver, just like nearly all Lange dials, with a pulse rate scale on the periphery of the dial. Graduated for 30 heartbeats, the pulsometer was originally designed for a doctor or nurse to measure a patient’s heart rate conveniently. 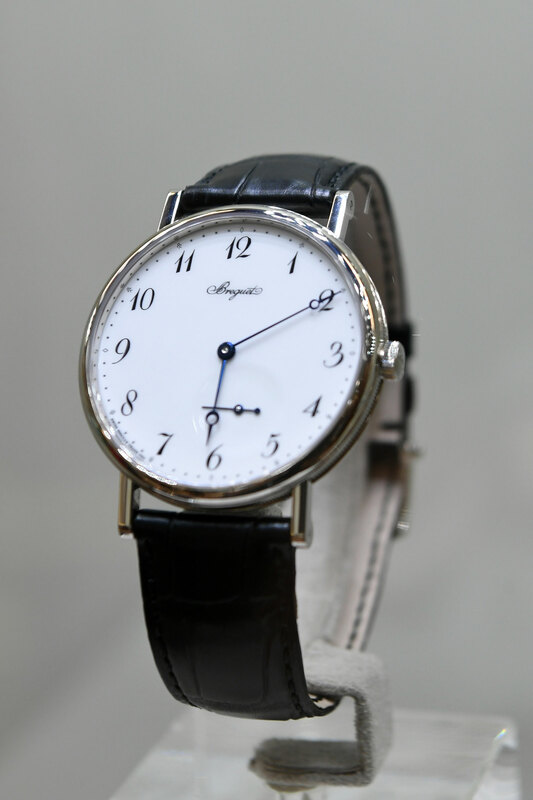 The white gold case is 39.5mm in diameter with the L951.5 movement inside. That’s the second generation Lange chronograph calibre featuring an extended 60-hour power reserve (compared to just 36 on the first generation) as well as a free-sprung, adjustable mass balance wheel. Unlike the flagship Datograph, the 1815 Chronograph lacks a date function, which is why it is a relatively slim 11mm high. 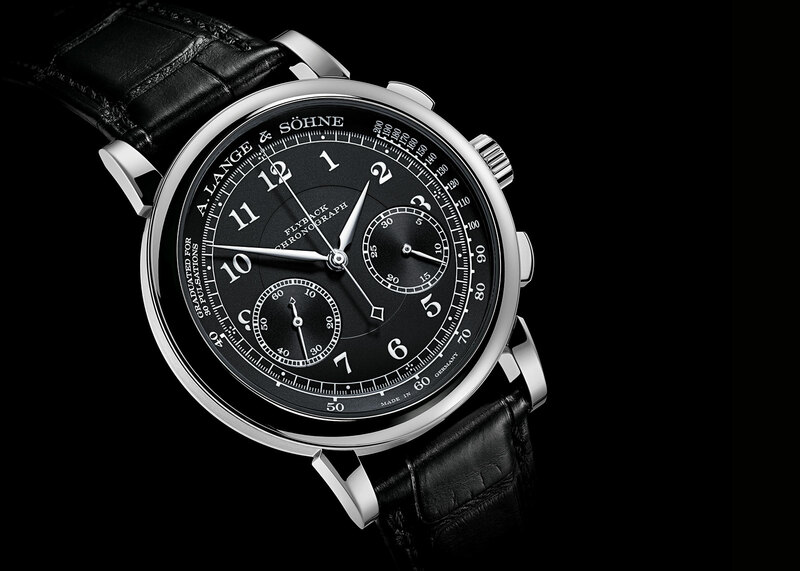 The 1815 Chronograph in black (ref. 414.028) is priced at €49,000 or S$67,700. Unlike the blue and white version of the same, the black dial model is not a boutique-only watch. It is already available at retailers and boutiques. 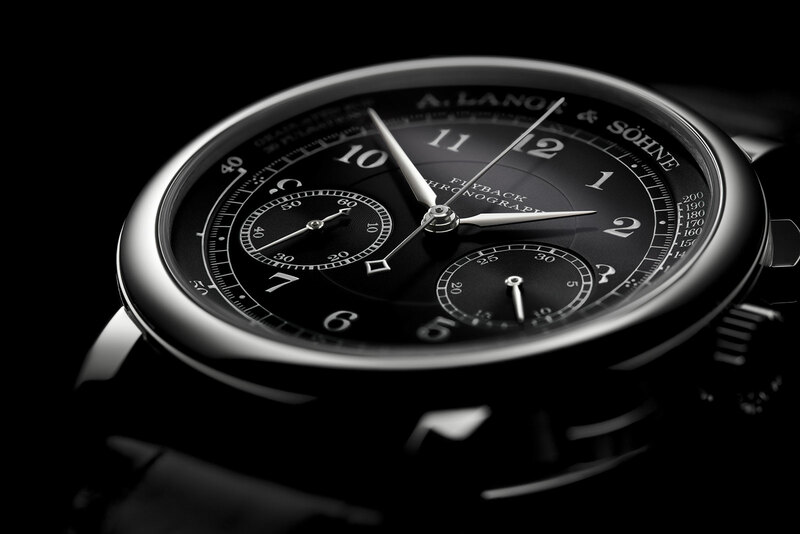 The entry-level full calendar watch from Lange is hand-wound and unusually, the date on a sub-dial. 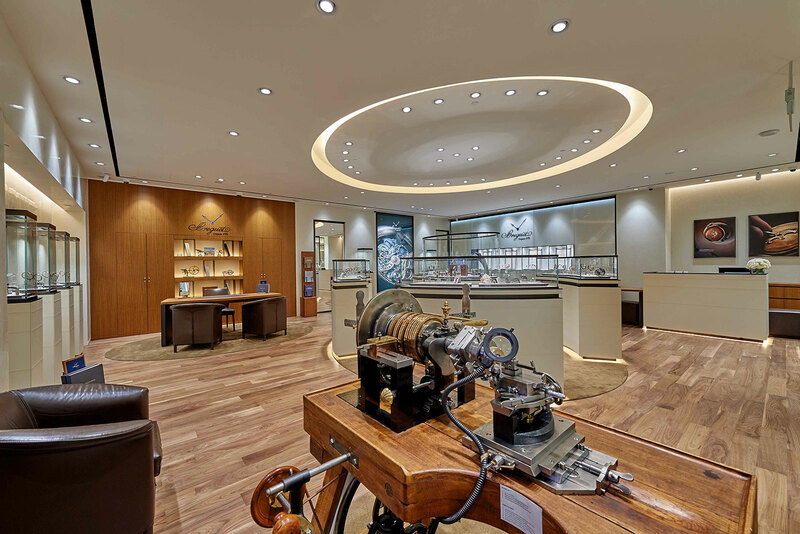 A. Lange & Söhne has just taken the covers off the latest variant of the 1815 Chronograph, featuring a silver dial with blue numerals, pulsometer scale and a white gold case, available only at its own boutiques. 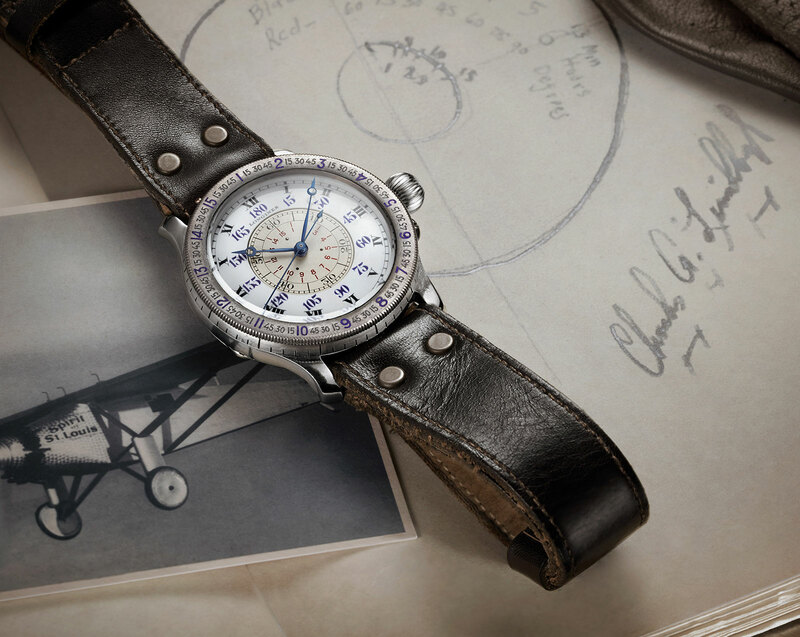 After Charles Lindbergh completed his transatlantic flight in 1927, turning him into perhaps the most famous pilot in history, the aviator designed the Hour Angle watch for Longines. 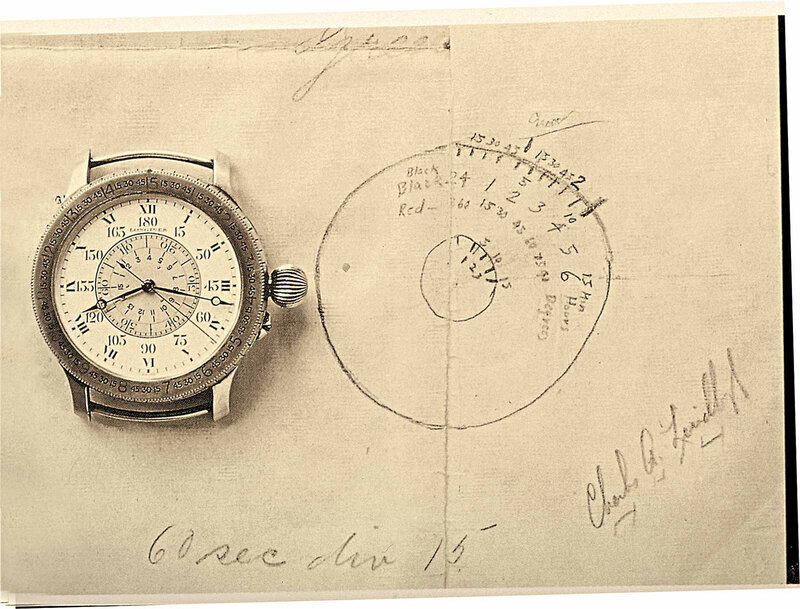 Conceived for a pilot to calculate longitude during a flight, the original Hour Angle was a distinctive, oversized wristwatch that’s now valuable, selling for US$50,000 or more. 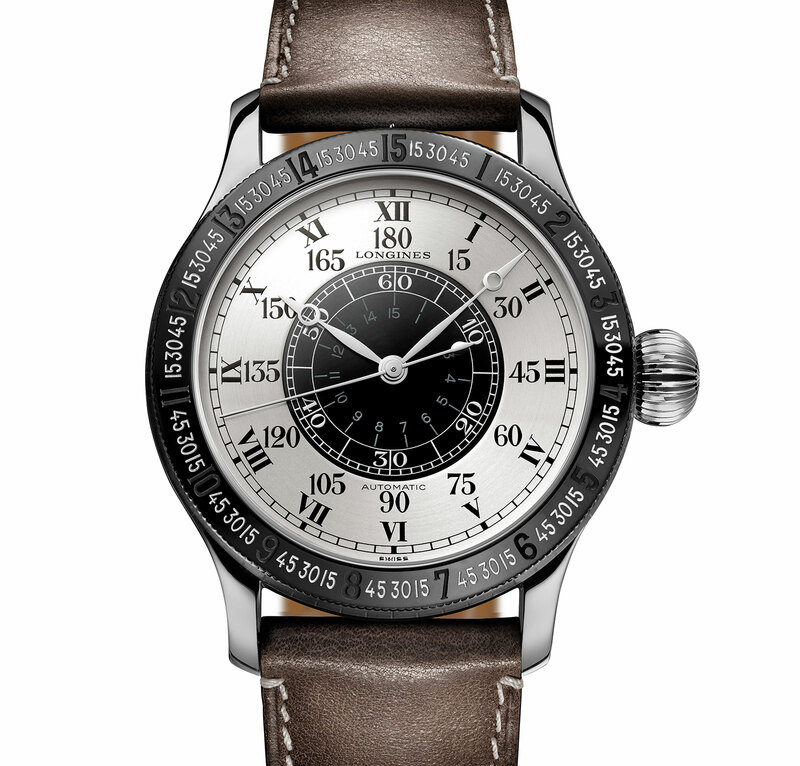 Several remakes of the Hour Angle have been produced over the years, but the Lindbergh Hour Angle Watch 90th Anniversary is unusual. It’s a faithful replica of the origin in size and design, but with a twist: the case is titanium while the colour scheme is a contemporary black and silver. The case is 47.5mm in diameter, just like the original, but made of titanium, making it noticeably lighter than it looks. The bezel has a glossy black coating. 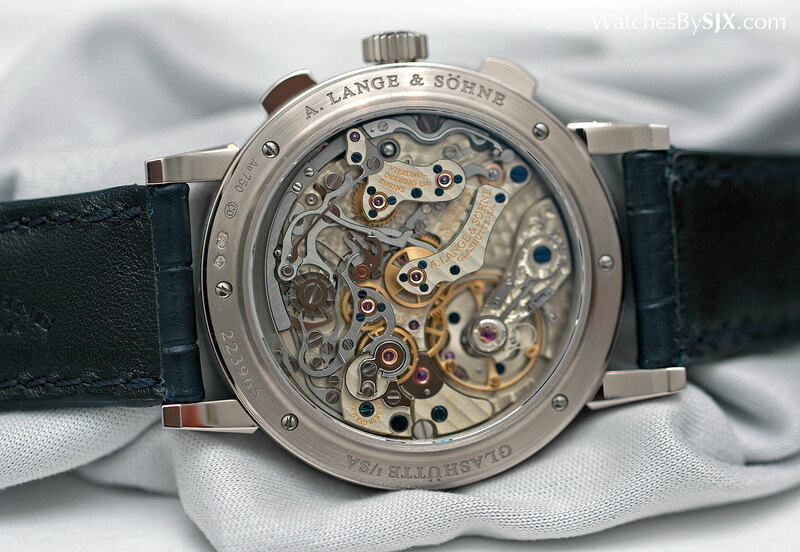 Inside is the L699.2, an automatic calibre that is actually the ETA A07.L01, essentially a Valjoux 7750 with the chronograph mechanism removed. 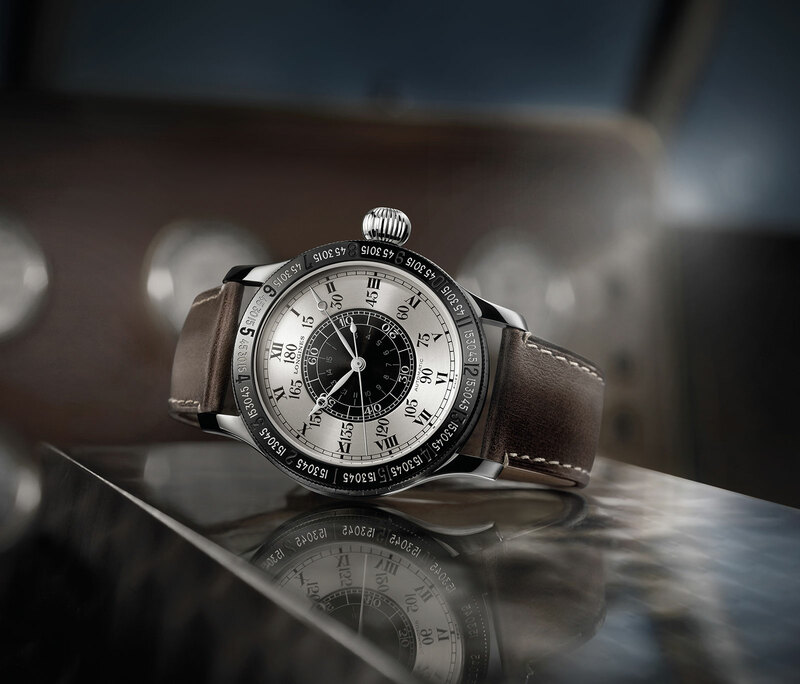 Limited to only 90 watches, the Lindbergh Hour Angle Watch 90th Anniversary (ref. L2.678.1.71.0) is priced at SFr5000 or S$7950. 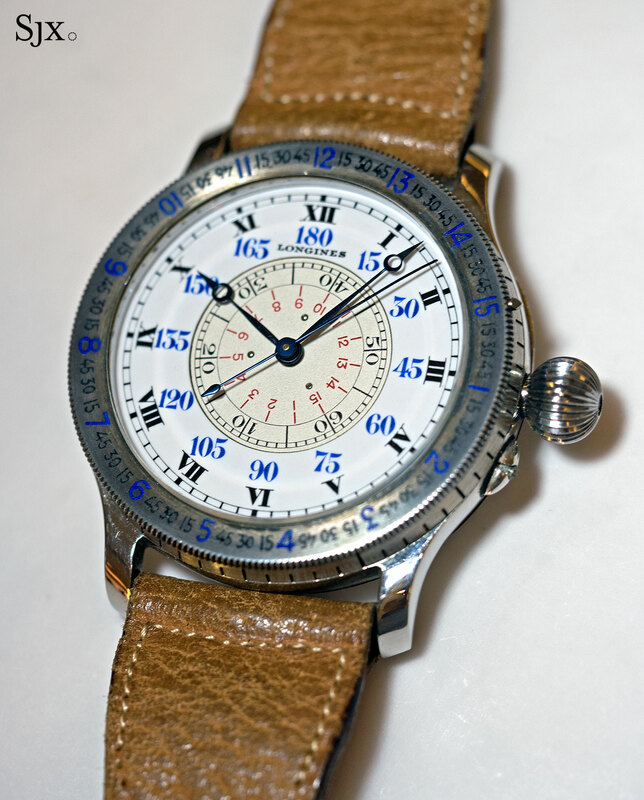 The A-7 dial was set at an angle, so that it could be read while the watch was worn on the inside of the wrist without letting go of the controls. 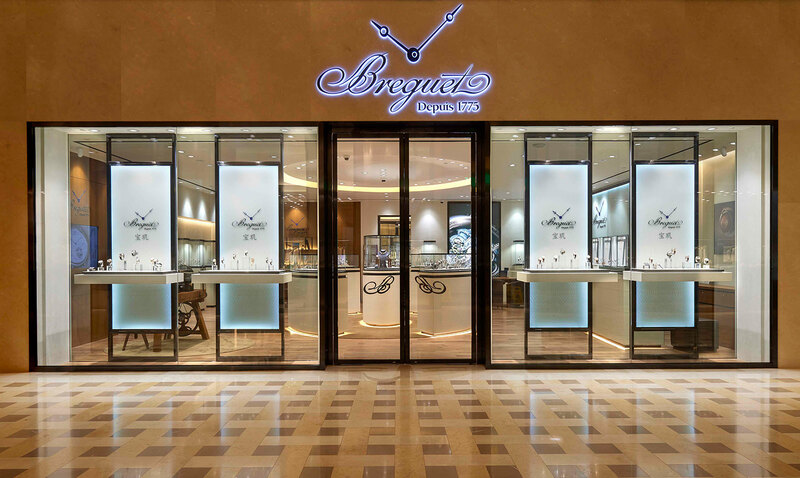 Now bigger and better than before, the Breguet boutique recently reopened in another location inside Marina Bay Sands, the casino and resort complex by Singapore’s financial district. 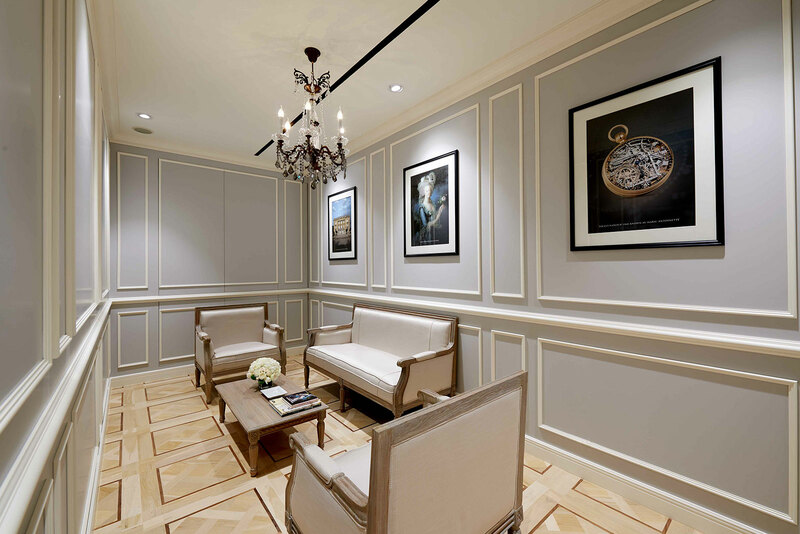 Almost 1500 square feet, the store is clad in Breguet’s redesigned interior decor, the second in Asia to sport the new look. But not everything inside is new: taking pride of place in the front corner is a rose engine from 1905, the type of machine used to create traditional guilloche on watch dials. 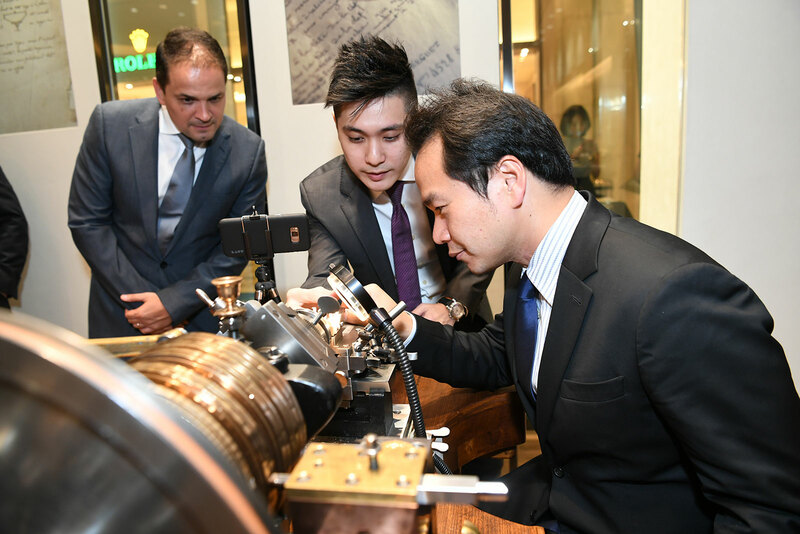 Similarly, while the store carries the full range of contemporary Breguet timepieces, including prototypes of new launches from Baselworld 2017 like the Tradition Dame 7038, a half dozen strong historical collection is also on hand for the opening. 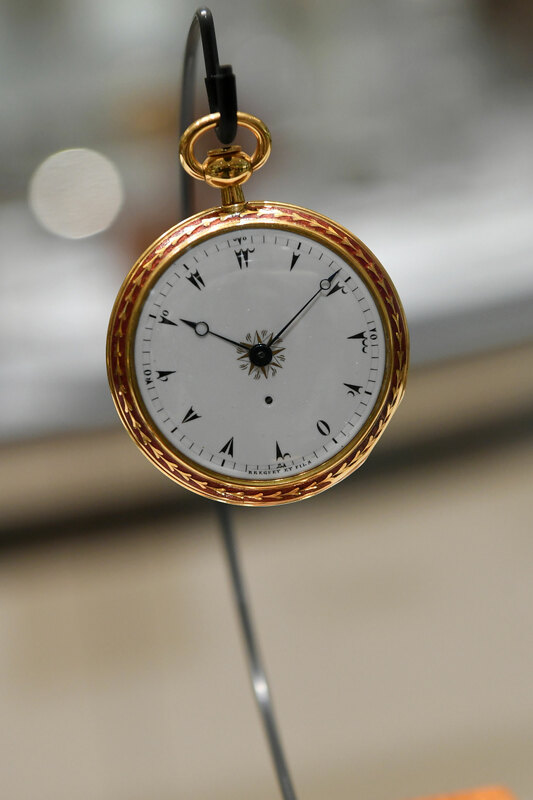 On display till the middle of June, the historical collection includes pocket watch no. 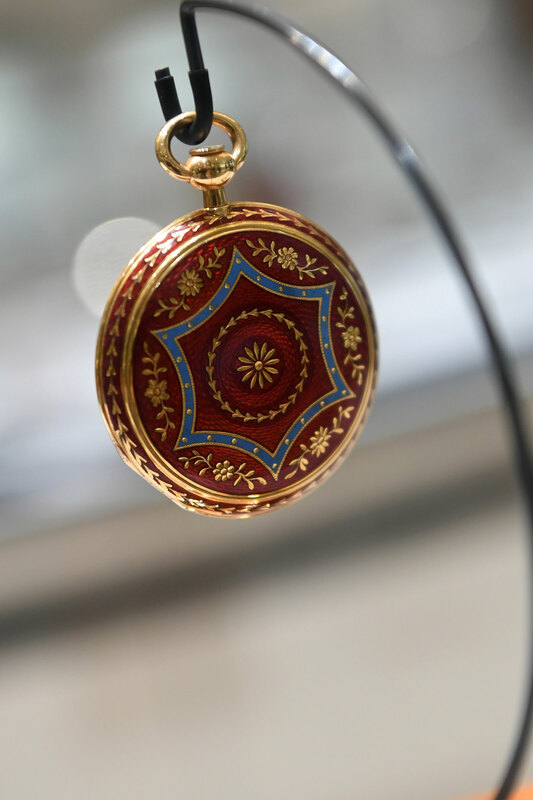 2592, a quarter repeater made for the Turkish market in 1817 decorated in vivid red enamel with Eastern Arabic numerals on its dial. Also notable is montre a tact from 1799. 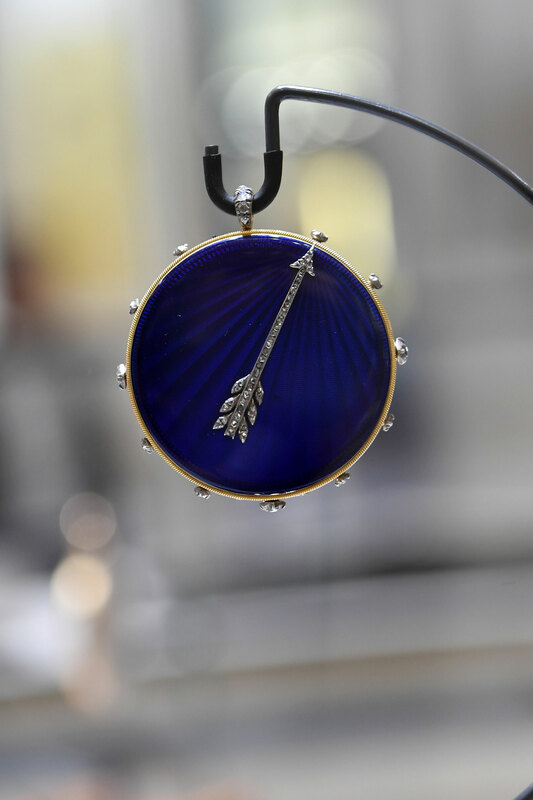 Covered brilliant blue enamel, the “tactful watch” indicates the time with a diamond-set arrow on its outside, allowing the owner to feel the time inside his pocket so as not to offend his guests by taking out his watch. 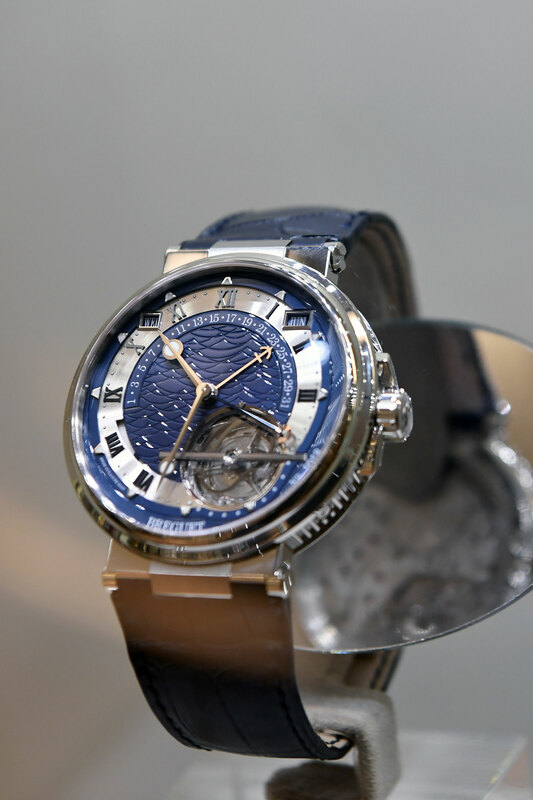 This was brought to you by Breguet.